This article (starting below the photograph) was written by Adelaide Advertiser journalist Martina Simos which was published on 9th June 2013. The article comments on research done by myself (Giulio Bortolozzo) and Dr. Ken Rigby on student attitudes/beliefs/constructed personal philosophies and how these are linked to bullying (bully-vcitim-bystander behaviours). The Whyalla REBE (Rational Emotive Behaviour Education) School Cluster is implementing the REBE counselling based student behaviour development program. This involves the explicit teaching of Unconditional Self Acceptance and Unconditional Other Acceptance to students which helsp students understand how the 'habits of thinking' they have formed are linked to how they feel and behave. The research mentioned below suggests that students who develop Unconditional Self Acceptance are less likely to be the victims of bullying. Rational Emotive Behaviour Education is a school wide system of behaviour development and as Rational Emotive Behaviour Educators, Whyalla teachers address bullying as part of daily teaching/learning routines. 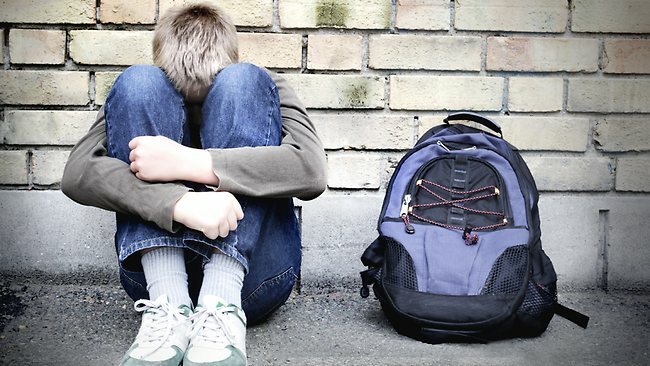 MORE than one-in-10 South Australian students in disadvantaged areas have negative thoughts about themselves which is making them easy targets for bullying, new research has found. The report, How Schoolchildren's Acceptance Of Self And Others Relate To Their Attitudes To Victims Of Bullying, co-authored by bullying expert Adjunct Research Professor Ken Rigby and Giulio Bortolozzo, has been published in the Social Psychology of Education: An International Journal. TWENTY-FOUR per cent of children recorded hostile thoughts towards others. ELEVEN per cent showed negative attitudes towards themselves. CHILDREN who were positive about others were more likely to intervene in bullying incidents as bystanders. The researchers believe children who have negative views about themselves need help - to become more resilient, assertive and safer - and if they have hostile views towards others, they need to learn tolerance to curb bullying behaviour. Prof Rigby said the findings indicate school initiatives could address bullying by introducing co-operative learning and circle time where students discuss concerns in a supportive environment. "We believe the best help for these children can be provided by teaching them to think more positively about themselves and others through the use of classroom lessons in rational emotive education," Prof Rigby said. "Relevant are peer support programs and strategies undertaken to promote positive bystander behaviour." Prof Rigby said: "It may come as a surprise to learn that so many South Australian schoolchildren harbour extremely negative thoughts about themselves and feel they cannot accept themselves as worthy people."